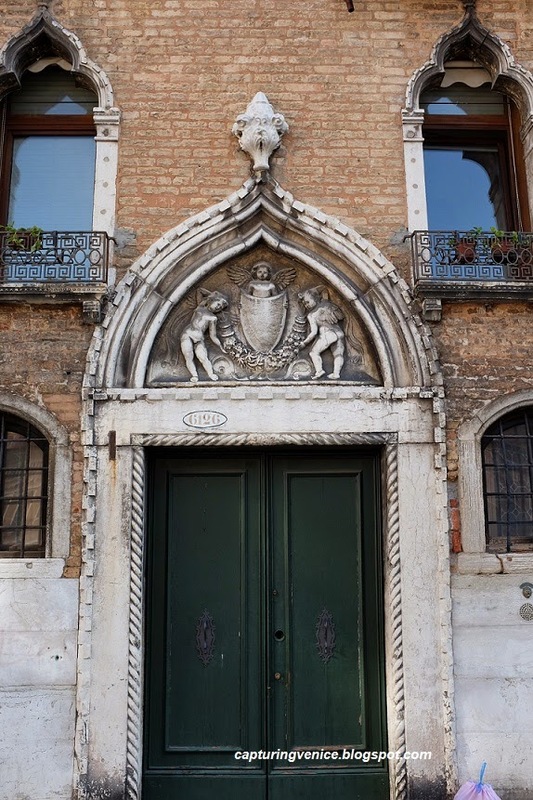 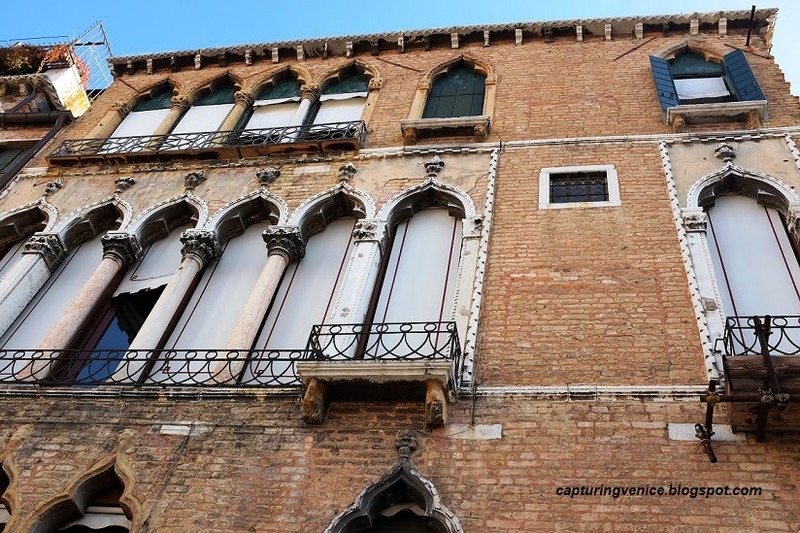 This building is one of three Donà palazzi in the Campo Santa Maria Formosa. 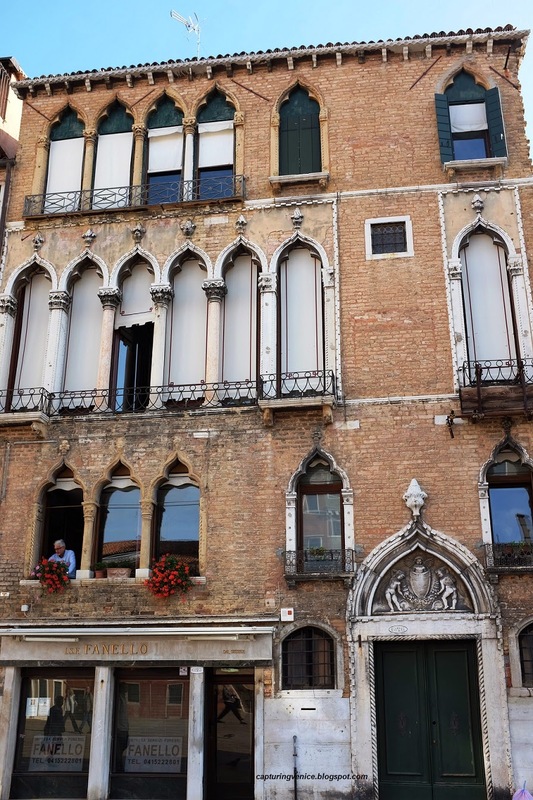 I always like to stand in the middle of the square and admire its gorgeous Gothic windows (the building dates from around 1460). 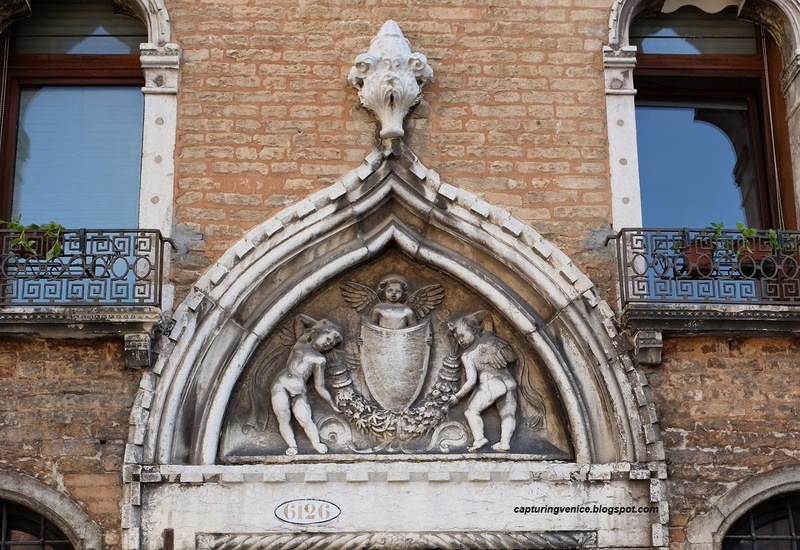 I particularly enjoy looking at its portal containing an elaborate Renaissance era shield supported by baby putti.